We are the #1 California Contractors License School for 30 years, helping 135,000+ students get their license in General A, B and all 43 trades. Let us help you get your license. 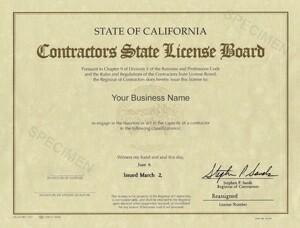 We are the largest contractor licensing school in California with over 25 locations throughout the state. Whether you are a person who likes to study or not, we have the highest success rate of any school. 99% of our students pass their exam on the first try, and that’s guaranteed or your money back. Our teaching process, called the Mizener Method, prepares you in a step by step manner for everything you need to know to pass the law, business and trade portion of your exam. Our programs are designed for convenience. We have online programs, home study, crash-course and in-school options, making it easy and affordable. CSLS is an excellent school. 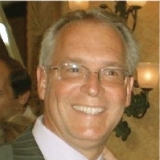 They reached out to me and worked directly with my schedule and my business to facilitate classes towards my General B. The teacher for Law & Business covered all the materials, made it easy to understand and kept the class on course. No matter what your needs, or what your budget, we have the most reliable program anywhere. Contractors State License School (CSLS) isn’t just the biggest school in the state, but also the industry leader for more than 30 years. That’s why we guarantee the success of every student, every time. Although there are a few other schools around the state who boast pass rates of 90%, or even 95%, those statistics include students who take the test several times. If you want the best shot at becoming a licensed contractor – without taking your test again and again – CSLS should be your first choice. We’ve helped more than 135,000 other students, and we can help you, too. Our promise is simple, because we are so confident that you’ll pass your contractors state license exam, if you go through our program, we will pay for you to retake the test if you don’t pass on the first try! All of our study materials are based on the “Mizener Method,” which was developed by our founder and is the key to our home study materials, which have been used by tens of thousands of students..